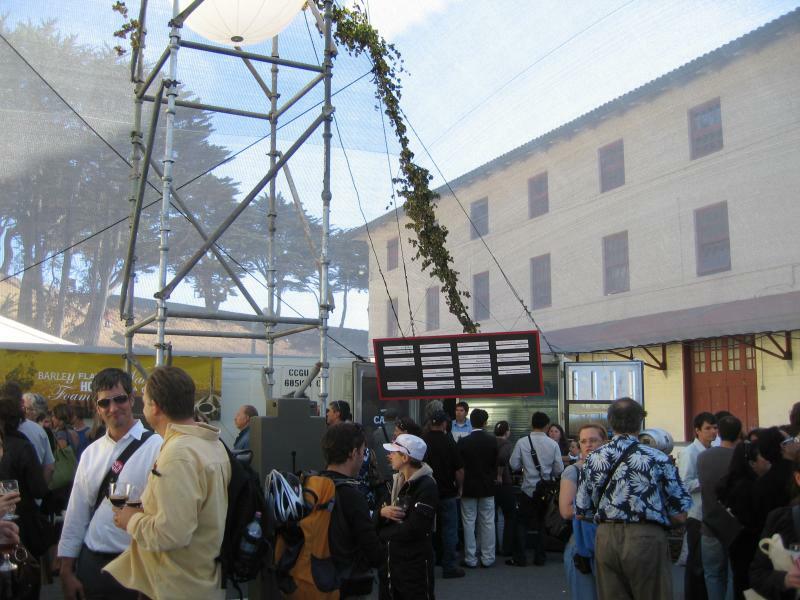 SMW & Associates collaborated with designer John Randolph in the design of the Beer Pavilion for the Slow Food Nation 2008 event held in San Francisco. 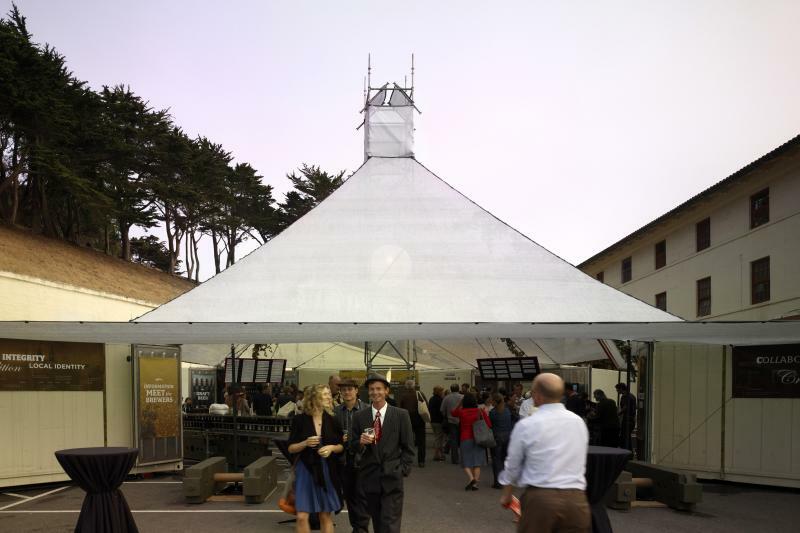 The Beer Pavilion was one of the two freestanding outdoor pavilions erected at the Fort Mason site. 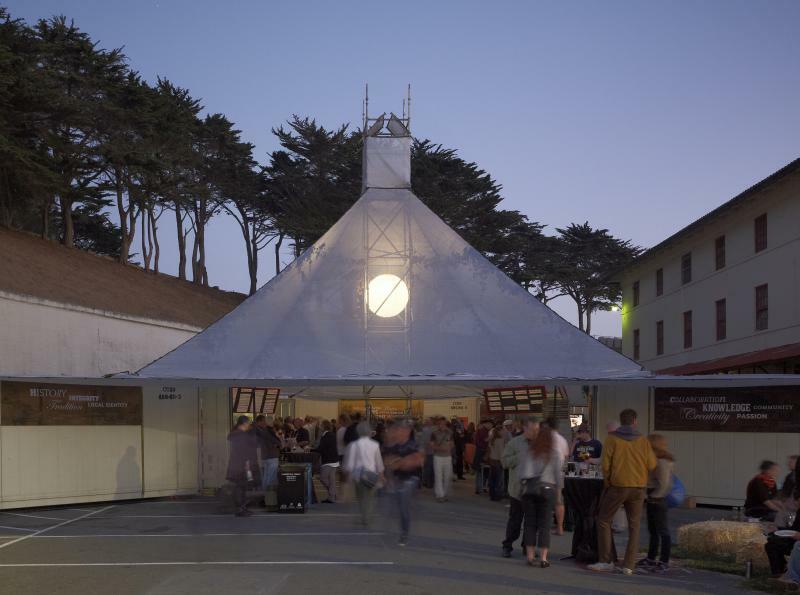 The pavilion took on the shape of a hop kiln measuring 35 square feet by 36 feet tall. 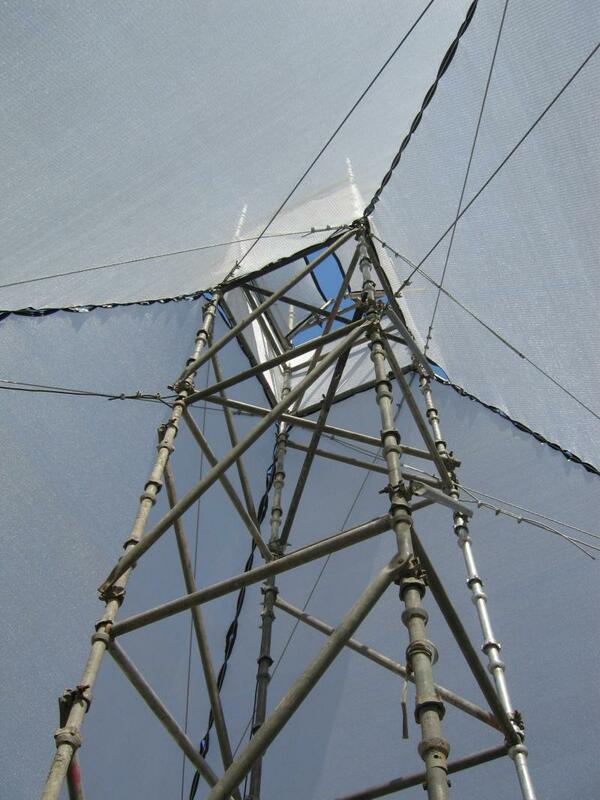 It was designed as a tent structure with a central tower and cable guide wires supporting a fabric skin. 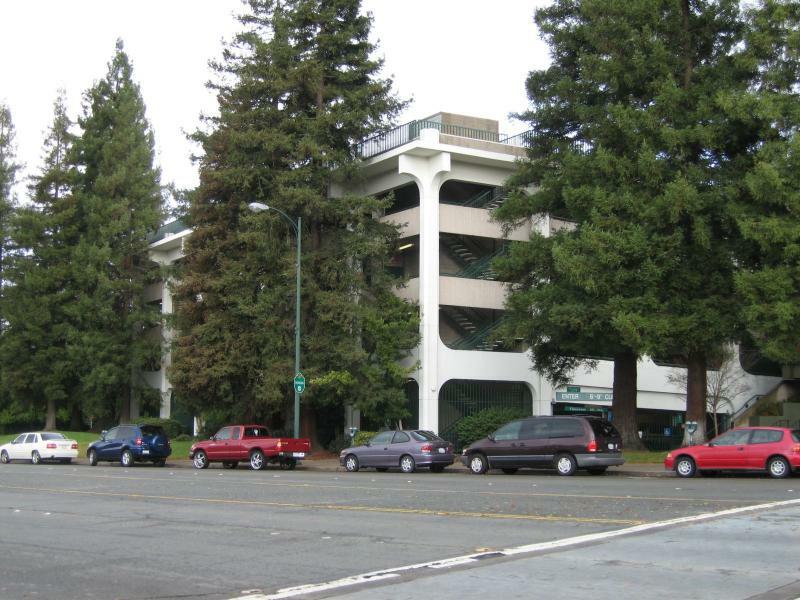 The central tower utilized prefabricated scaffolding tubes and clamps for ease and speed of construction. The base of the tower was anchored with four “Waterhog” tanks to prevent any lateral movement at the base caused by accidental impact load. In addition, the tanks acted as counterweights against any uplift wind load. 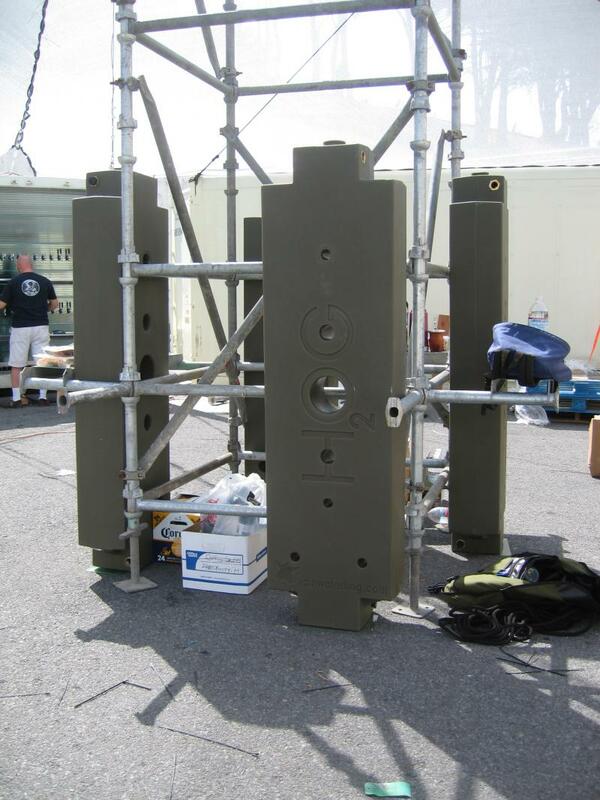 1/2” diameter cables were used to brace the tower as well as provide attachment points for the perforated aluminum fabric. 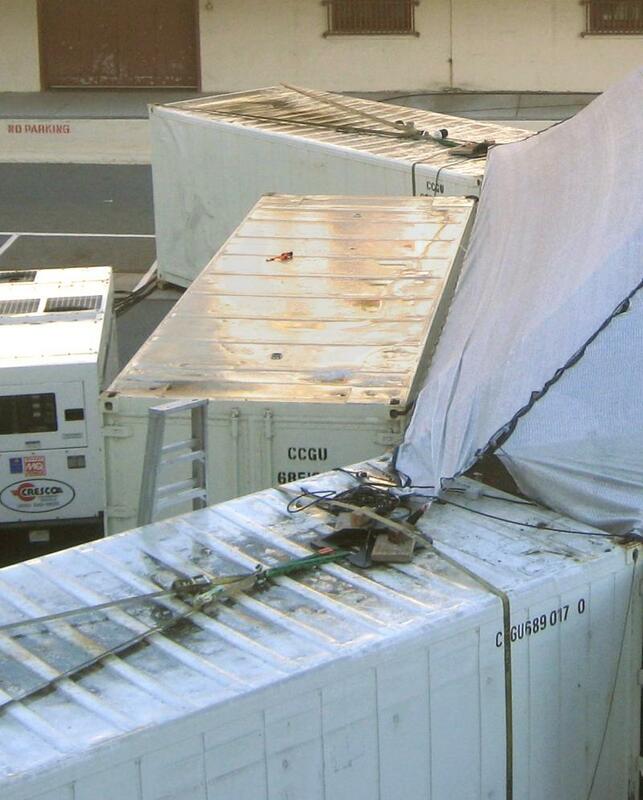 The cables were attached to refrigerated containers on the four corners of the pyramid. The containers served as anchors for the tent structure as well as storage for the variety of beers to be served at the festival. 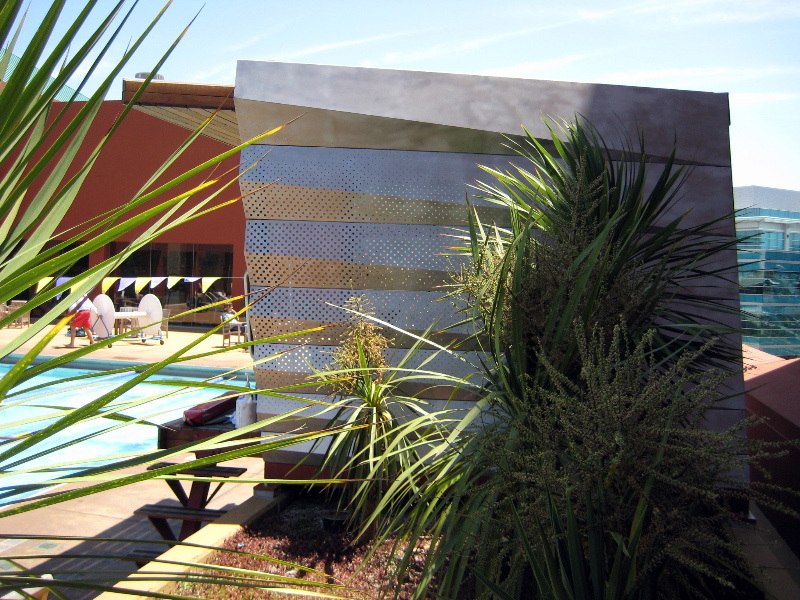 No fabrication was involved with any of the structural elements. 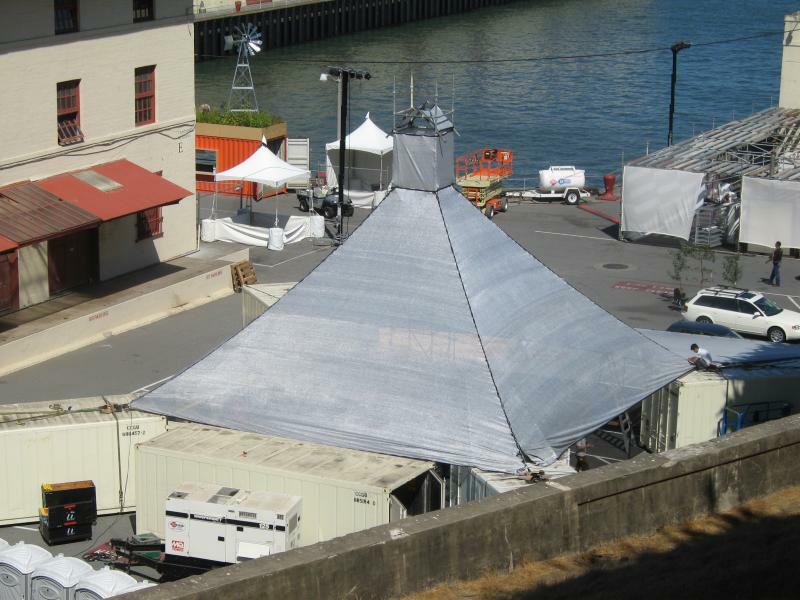 The entire structure was assembled in three days, from the delivery of the containers to the installation of the tent fabric. SMW & Associates Inc. provided pro bono services for this project along with many other design professionals, volunteers and companies that donated materials and goods. 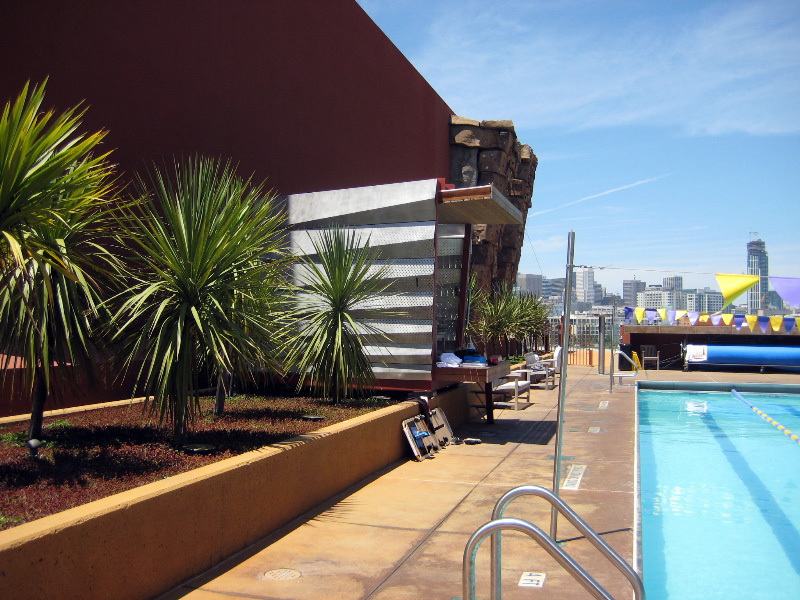 It is our office’s goal to donate 2% of our time annually to worthy causes. 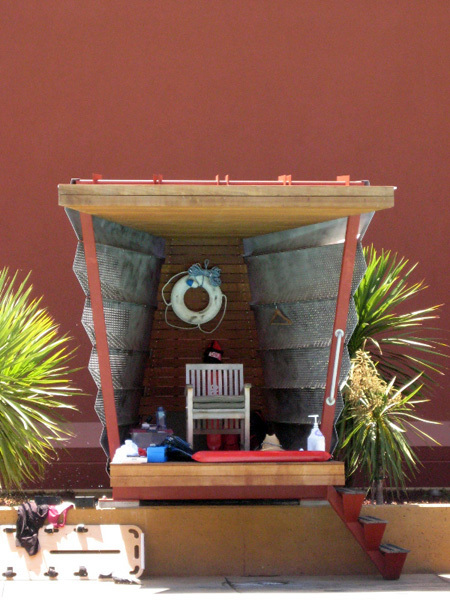 Our efforts on this project represent our 2008 contribution towards this goal.